Brazilian star reveals Chelsea "is his preferred destination". It's great to open this article up when you see the headline listed on one of the news sites, facebook or twitter knowing that the fact a Brazilian star wants a move to Chelsea. The only problem? It will cost Chelsea £85m!! "I've said it before, we would not sell Hulk and therefore Chelsea must activate his contract." It a ridiculous amount of money isn't it and none of us would ever expect the club to pay that amount of money. There is alot to consider here, first of all if AVB will still be in the job come the summer, if Roman will give a possible deal the go ahead and also if AVB is able to bring Porto's valuation down to an acceptable level. The problem with that is the fact that the players has a contract until 2016. "We know there is lots of interest from Europe, but the player has told me privately Chelsea is his preferred destination." We will have to wait and see what happens with this one. There is plenty still to play for and an awful lot can happen between now and the end of the season. I would imagine Hulk would only be interested in linking up with AVB once again and if he isn't here anymore the deal probably wouldn't happen. 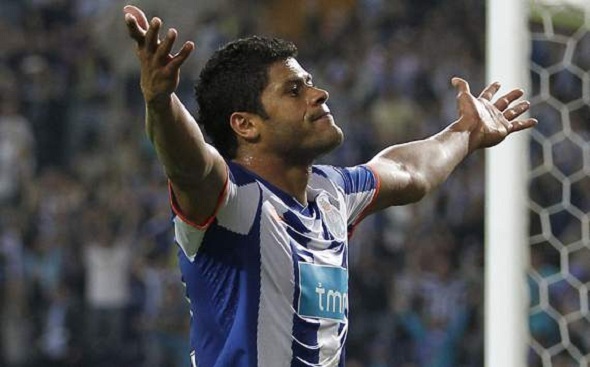 But, saying that, if AVB is here and Hulk wants the move then maybe something can be agreed as Porto wouldn't make any sense keeping a player who wants a move away. Like I said, let's keep an eye on this one for the summer. Alot could happen between now and then!. Grab your Chelsea FC Fan App on Android. Grab your KTBFFH True Blue app for IPHONE/IPAD here.